An ultra-soothing daily treatment that biologically reduces and prevents redness. Recommended for sensitive skin with redness. Can be used on the face by adults. Apply morning and evenings onto clean skin. 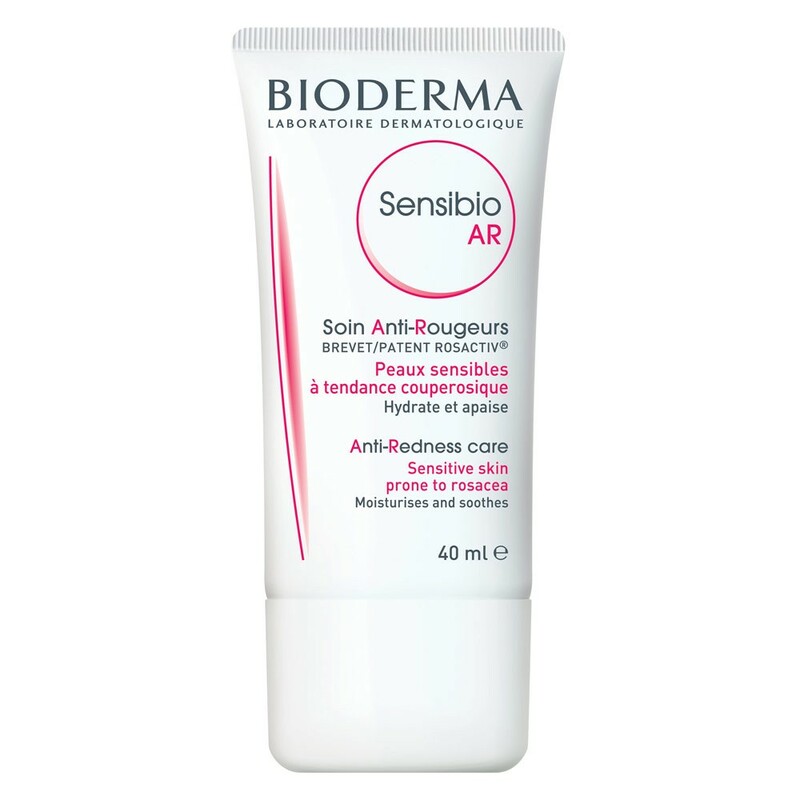 Sensibio AR reduces and prevents redness by regulating the biological factor responsible for vasodilation. Its exclusive, innovative Rosactiv patent directly acts on VEGF, one of the main factors responsible for the dilation and weakening of skin capillaries, sources of redness. Enoxolone, allantoin and canola, a combination of intense soothing agents, instantly reduce heating sensations. The D.A.F. (Dermatological Advanced Formulation) patented natural complex increases the skin’s tolerance threshold. Glycerine and canola moisturise, strengthen the barrier function and provide real skin comfort.